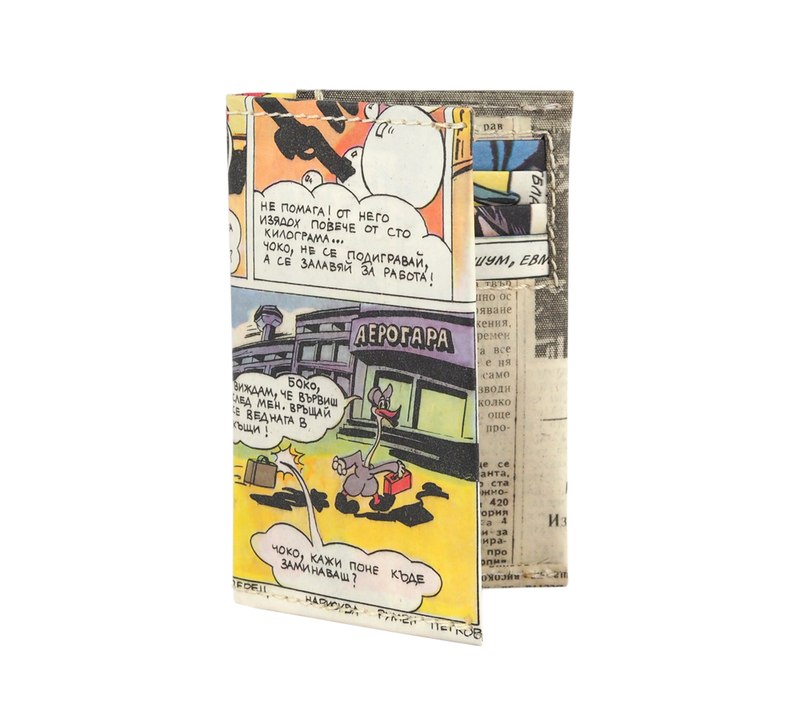 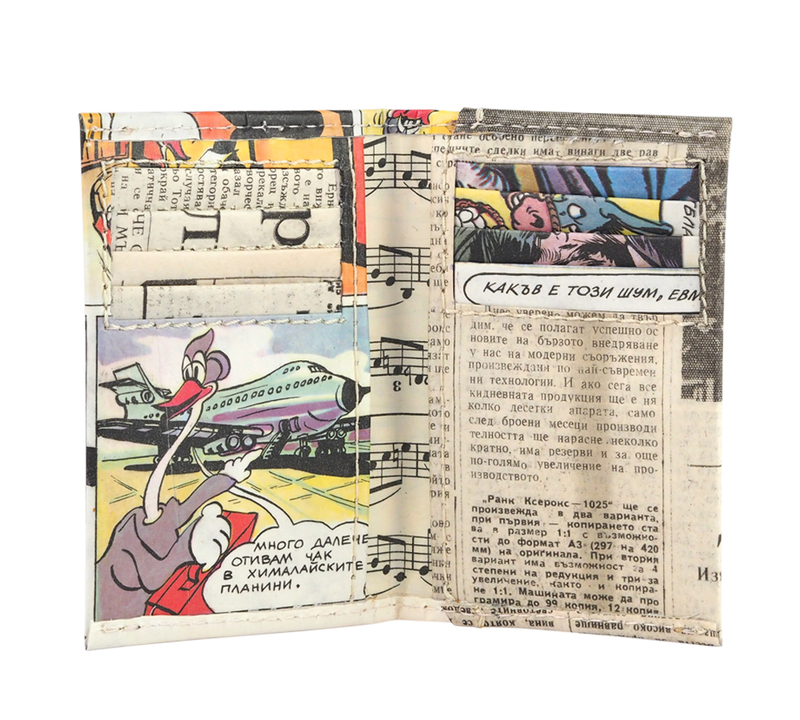 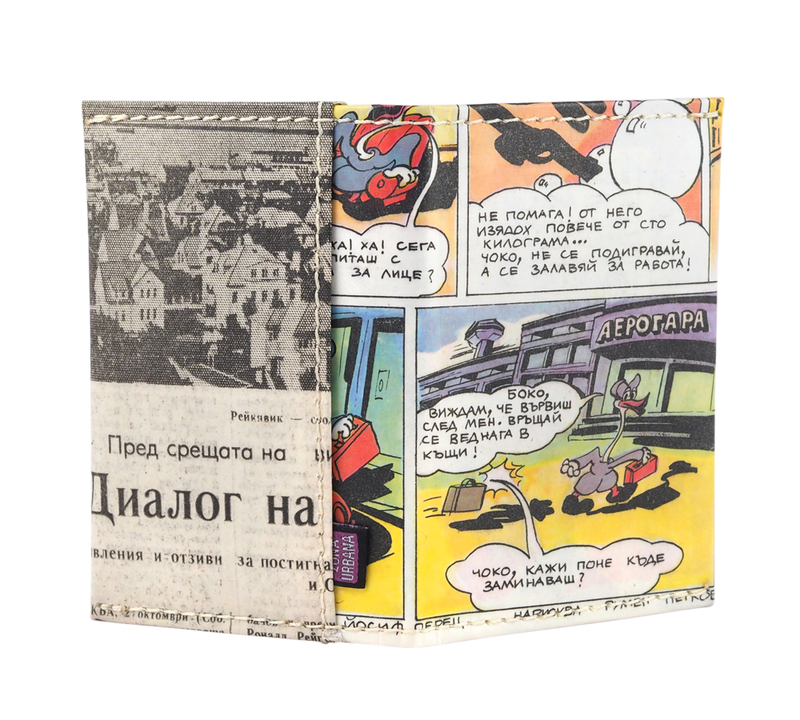 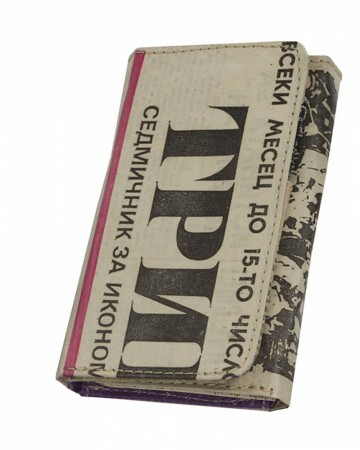 Bulgarian comics “Duda” 1987 and communist newspaper cardholder made with 95% recycled materials. 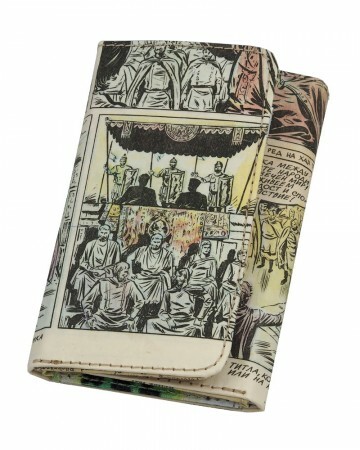 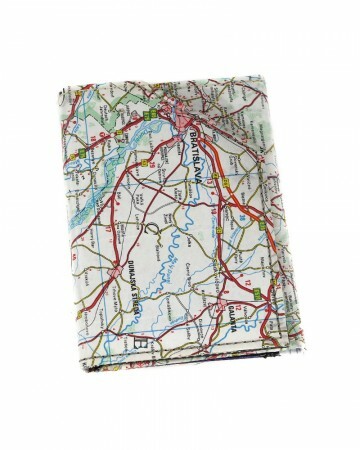 wallet containing:a 8 slots for credit cards 2 pockets for cash and one outside for tickets. 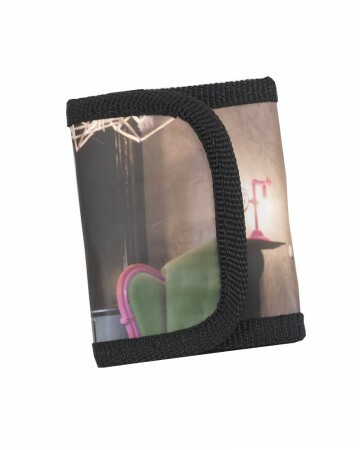 Categories: Card & Cash Sleeves, Sleeves & Cases.